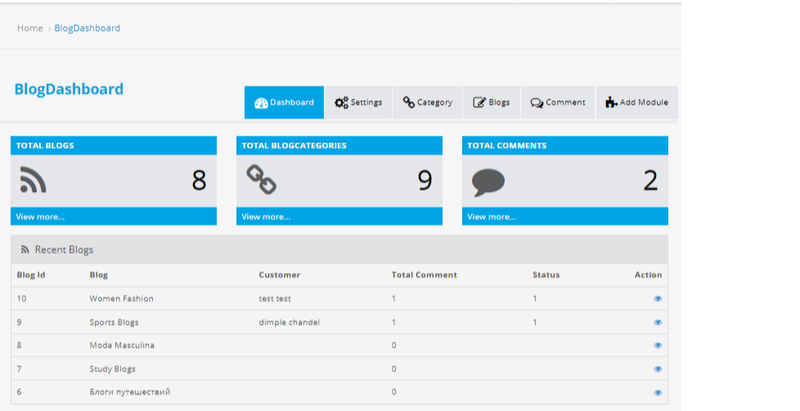 It also provides a dashboard for admin to view the overall number of categories post and recent comments up to date. TMD Advance Blog module has its own page for publishing post where you can also set up your own template. You can add Blog and categories from admin. and there are several other configurations and settings in the module like colour setting, Enable/Disable options for Title, Write descriptions, Social share icons, etc. There are 4 types of blog settings for managing your blog module.